A UK government minister has expressed his belief that a “workable” and “common sense” Brexit will eventually be negotiated to allow the UK to remain a strong partner of the European Union. Parliamentary under secretary in the Scotland Office, Lord Duncan of Springbank, was in Shetland on Thursday to listen to representatives from a number of fishing industry sectors as well as elected members of Shetland Islands Council. 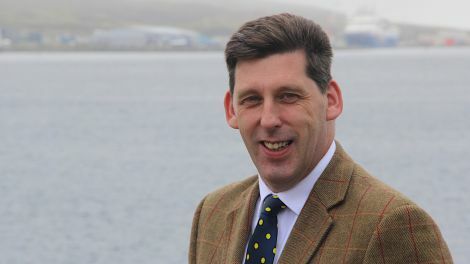 Duncan, who used to be a Scottish Conservative MEP before being promoted to the House of Lords, heard a wide range of views from a potential ‘sea of opportunity’ for fishermen to concerns over the impact Brexit might have on the local economy. Council leader Steven Coutts said the local authority reiterated its concerns over future access to markets, the impact Brexit might have on migrant workers as well as uncertainty in respect of what replaces a number of EU structural funds. Speaking during a press briefing late on Thursday afternoon, Duncan insisted that Brexit was not just complicated business for the UK, “it is complicated for the EU as well”. Contrary to many in the Conservative Party, who are advocating to walk away from the protracted negotiations with the EU, Duncan said the challenge was find a resolution that would honour the outcome of the referendum while allowing the UK to remain a strong partner of the EU. “What we have to do now is trying to deliver a workable outcome from Brexit that meets the democratic mandate of the referendum and does so in a fashion that is workable for all concerned, which allows us to be a strong partner of the EU, and also allows us to face a broader world in a successful way,” he said. He said neither the EU nor the UK have an interest in a no-deal Brexit scenario as this would result in both sides losing out. “If we crash out on 29 March (2019), the pain that will be felt inside the EU will be as palpable as the pain felt inside the UK,” he said. “Scotland, and Shetland, is a major fish exporting nation, and our principal market is the EU, so the implications of a bad deal are clear. “Putting this into context, the UK is also the principal buyer of fish from the EU. Citing academic research as another example, Duncan said that Scotland had more globally ranked universities in the top 20 than the other 27 members of the EU added together. “So, Scotland has a lot to offer and so has the UK. The EU becomes the poorer if we are not able to collaborate in the wider academic world,” Duncan said. “The very ideal that we will be somehow excluded from that will be a huge detriment to the direction of research inside the EU. “The UK is very clear that it wants to participate in the ongoing research network, of course it does, and I hope that the EU recognise that. Duncan, a vocal remainer during the Brexit campaign, has always been critical of the attempt to resolve complicated issues via referendum. As such, he was adamant that a second Brexit referendum is not a good idea. “Whatever the EU may like to say, we do not have a tradition in this country of repeating referendum – we don’t do that, whereas many of the other nations inside the EU have. “It there would be another referendum, I am not sure the result would be that different. “But lets for example say it was: Imagine the outcome is 52/48 the other way around; have we then resolved the issue? Or do we have another referendum? 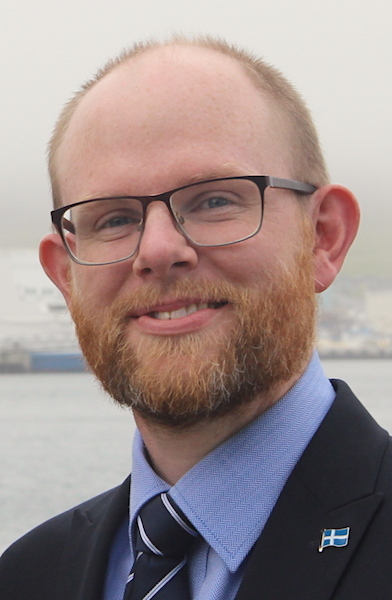 Council leader Coutts said the degree of uncertainty as to the direction of the Brexit negotiation has resulted in a lack of confidence in the local economy. “As a community we are very clear that we are concerned about the implications of Brexit, in terms of access to markets, the movement of migrant workers who are providing a very important role in our community, as well as the replacements for the structural funds. “Lord Duncan probably found it difficult to give us assurances. He certainly heard the messages from us on the implication of whatever Brexit may mean.